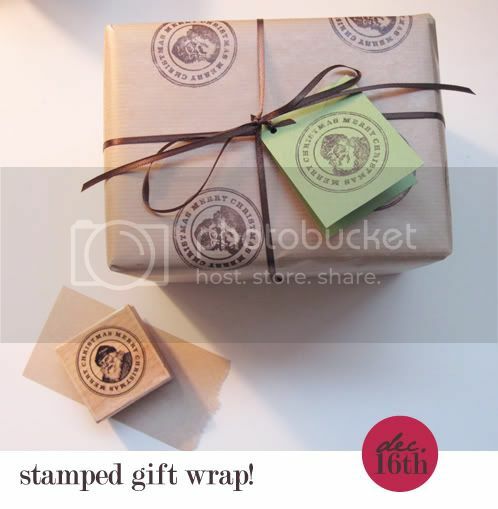 bee keeper studio: day three handmade holidays: stamped gift wrap! day three handmade holidays: stamped gift wrap! I love wrapping gifts almost more then gathering them up, it's another place to get creative! 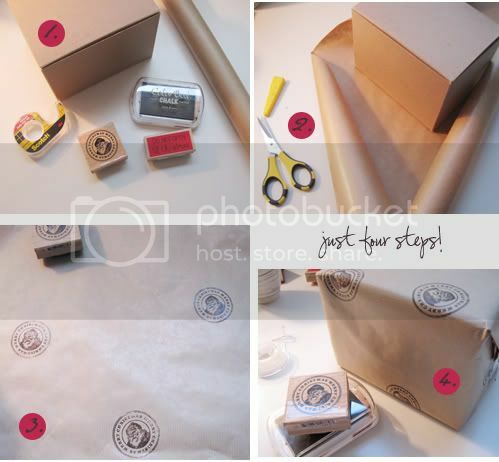 Here is a simple way to make your gift wrap more fun, hand stamping it. I found this stamp for just $1, it came in very handy. step 1: Gather your materials. 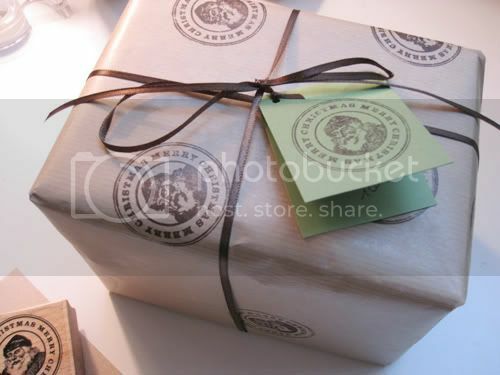 I love light weight kraft paper, but any blank paper will do great, even white. Also you will need scissors, tape, a stamp, and stamp pad. 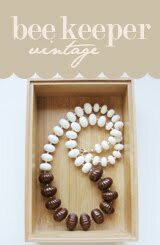 step 3: Lay your paper on a hard surface and to keep it from rolling up just use some heavy items to hold the ends down. Start stamping! I prefer a dye based ink, they dry very quickly and won't stain your skin (as opposed to pigment based inks) Stamp randomly, it will turn out cute! step 4: Wrap your gift with some double sided tape to hide in the folds. Finish off with some matching ribbon and a little tag. And when your present gets opened you get to gloat about making it yourself :) Stop by tomorrow for: paper ornaments!